As per a new study published by National Cancer Institute even the low intensity smokers are at higher risk of early death. The chances of early death are 64% higher than non smokers of same age.The chances of death increases to 87% in case of smokers who smoke more than 5 cigarette a day. Researchers at the National Institutes of Health warn more and more people claim to smoke fewer than 10 a day, in the belief that it is healthier. 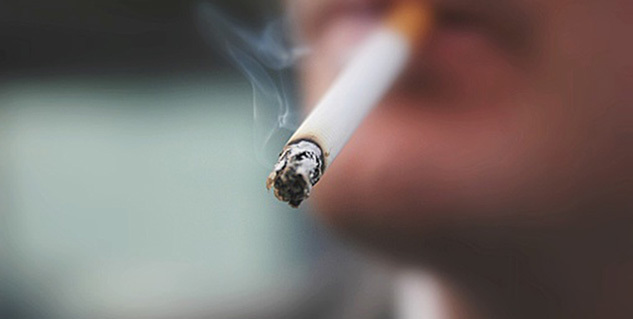 Smoking patterns early in life may still affect mortality even 50 to 60 years later. So, it is important to support efforts to prevent adolescent smoking initiation. As for cause of death, people who smoked between one and 10 cigarettes a day had almost 12 times the risk of lung cancer death than their never-smoking peers. The fewer-than-one-cigarette-per-day group had nine-times the risk. During this study, researchers examined data from more than 290,000 adults participating in the National Institutes of Health-AARP Diet and Health study, all between ages 59 to 82. More study is required based on demographical distribution and ethnic group.The study's limitations include that it hinged on people's memories of smoking habits over decades, leaving room for error, and that the number of low-intensity smokers in the study was small.